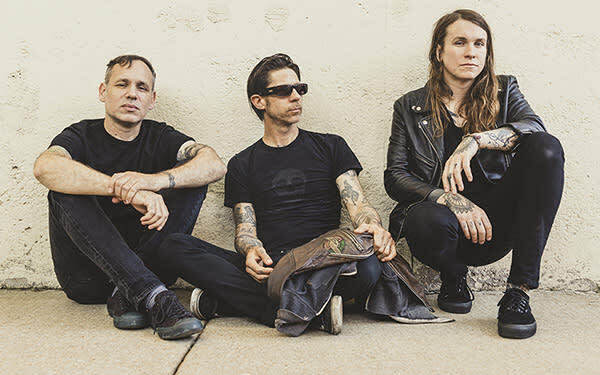 Laura Jane Grace & the Devouring Mothers are Laura Jane Grace, Atom Willard, and Marc Jacob Hudson. Grace is a musician, author, and activist best known as the founder, lead singer, songwriter, and guitarist of the punk rock band Against Me!. Willard, also of Against Me!, is a drummer who has played in iconic punk bands such as Rocket from the Crypt, Social Distortion, and The Offspring. Devouring Mothers bassist Hudson is a recordist and mixer at Rancho Recordo, a recording studio and creative space in the woods of Michigan, and the sound engineer for Against Me!. Mercy Union and Control Top will open the show.